This applet shows a dynamic geometric proof of the formula for the sum of the cubes of the first n natural numbers. 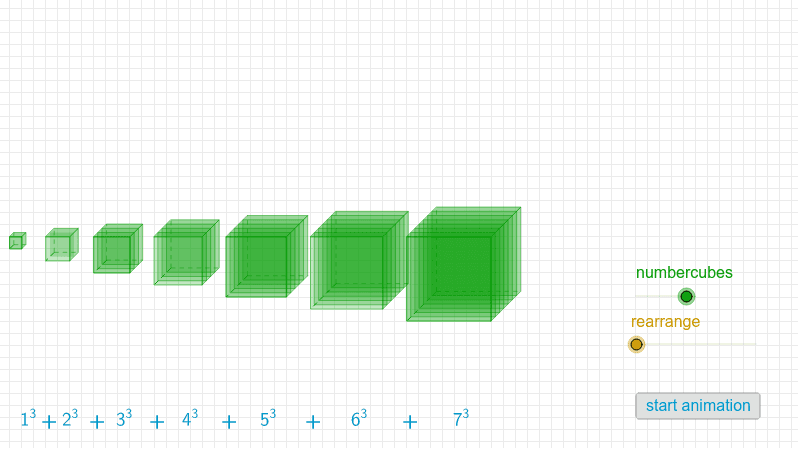 Drag the slider “NumberCubes” to create up to seven cubes. Think of each cube as a collection of n nxn square layers of unit cubes. To find a formula for the sum of the cubes of the first natural numbers we will rearrange the square layers. Drag the slider “Rearrange” or press the “animate” button.